Not all soldiers leave after a war. Some are left in faraway graves, while others refuse to accept their demise and keep on fighting for some long-forgotten cause. A French major who was killed at Vyšehrad during the War of Austrian Succession is one such soldier who failed to move on to the next realm with the rest of his comrades. And he can be one of Prague’s fiercest ghosts if you get on his wrong side. 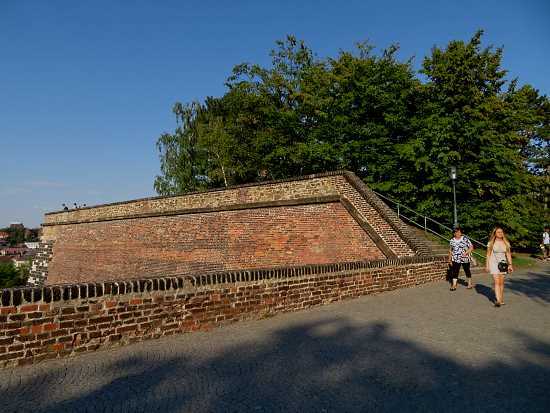 The hilltop fort’s history dates back to pagan times but it was heavily refortified in the late 17th and early 18th centuries, and those tall brick walls with ramparts on top still exist today. If you look closely you can see traces of loopholes that were made for shooting rifles from the tunnels inside the walls. During the War of Austrian Succession, French forces supported the claim of Prussian King Frederick II to the Austrian throne. From 1741, they held Prague against the opposing forces of Austria, who supported the Archduchess Maria Theresa’s succession to the Habsburg Monarchy. This culminated in the Siege of Prague in 1742, with Austrian forces trying to retake the city. 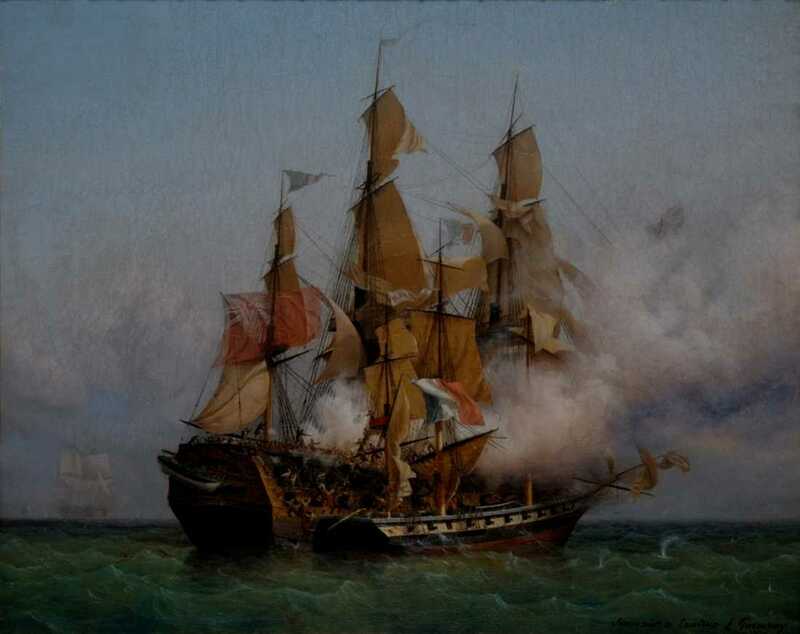 The French major had fought bravely throughout his career and expected to earn more medals and perhaps a promotion for his exploits. Instead he got a stray bullet in the back while standing on the ramparts of Vyšehrad. It was never clear if he was killed by the enemy, friendly fire or even on purpose by a subordinate who disliked his strict ways. 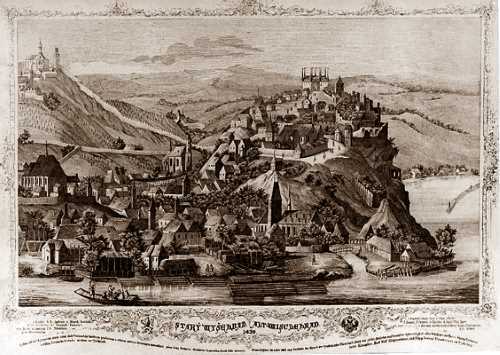 There was no fighting at Vyšehrad at the time, and indeed most of the fighting in the siege took place elsewhere, as Vyšehrad served mostly as a base for the French side. His demise came at the start of the siege, and he was particularly angry that he was robbed of the chance to lead his troops to another victory. The French forces eventually withdrew from Prague, escaping through a gap in the blockade of the city. Austrian forces then took over the fort. But the major stayed behind to defend the fort. 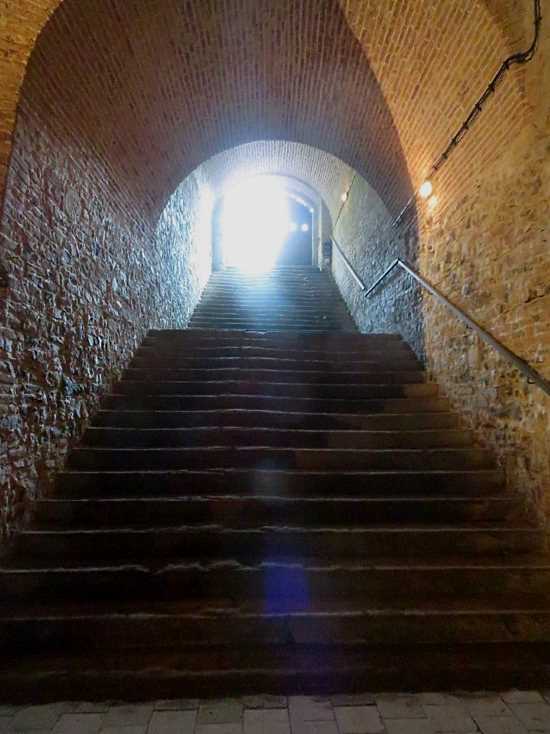 His fully uniformed spectre would hide in the secret passages of the thick brick walls in the daytime. At sunset, he would come out and lay in wait to catch stray soldiers and strangle them. Soldiers asleep on guard duty were his particular targets. As time went on he grew more bold, coming out into the open and attacking small groups. Bullets went right through him, and he could not be caught in any sort of trap the enemy could think of. The War of Austrian Succession ended in 1748, but the major stayed on. He was active in the Seven Year’s War and sporadically even at peace time whenever he encountered easy prey. Some accounts say that his three-cornered hat was found by one of his victims, and that since that time he has been hatless. But others say he is still in his full white-and-blue uniform. Vyšehrad remained under military command until 1911, but the public already began to have access some time in the 1800s. But the changing tides did not disturb the major, who by some accounts still turns up on rare occasions. He gets angered by people not wearing 18th century French uniforms and is likely to raise his sword and swear. He finds cut off jeans, leggings and sleeveless shirts particularly offensive. And he sees tourists wearing such outfits and sitting on the ramparts listening to radios as being in particular dereliction of duty. But what irks him more than people out of uniform is people in uniform. 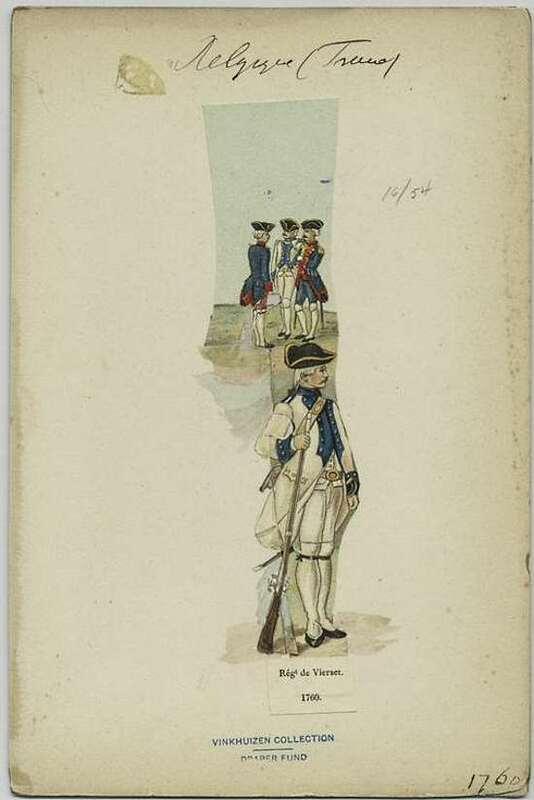 Since nobody wears the French 18th century uniforms, he sees any person in uniform as the start of a new invasion. He has been known to attack visiting soldiers from all across the world with his phantom sword. One trick that works to stop his anger is to salute him when you see him, as he takes that a sign of proper military respect. 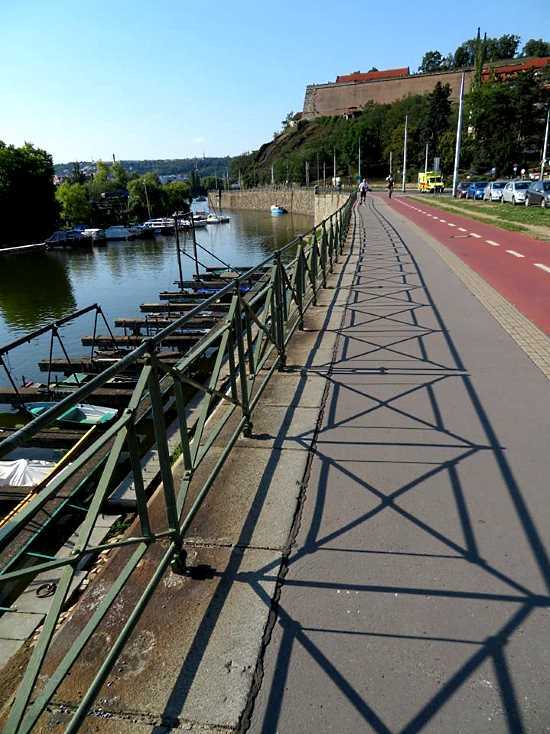 According to legend, Vyšehrad is the oldest part of Prague, and where the pagan rulers established their castle. It continued to have importance, though not as important as Prague Castle across the river. Vyšehrad served as a royal district with churches and palaces until it was burned during the Hussite Wars in 1420 and ransacked again in 1448 by King George of Poděbrady. It lay in ruins after that, though it was occupied by some lower-class artisans who had a market there. 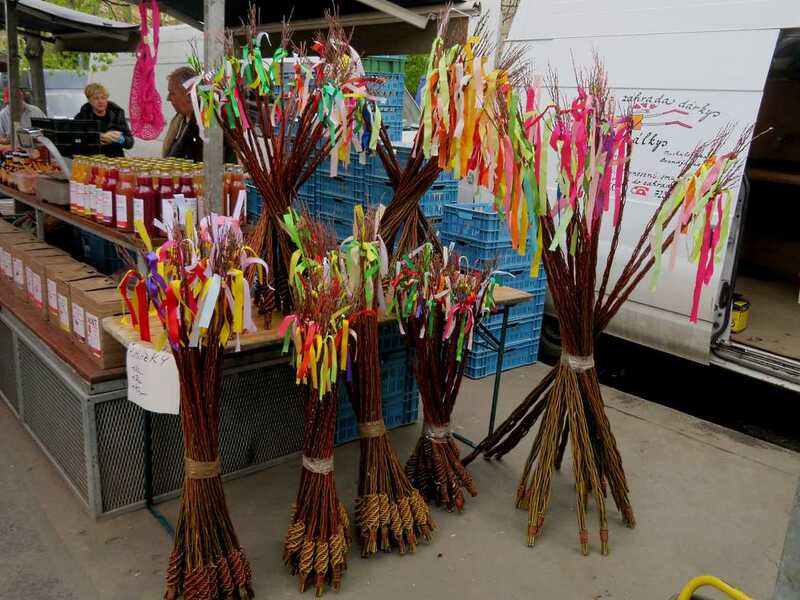 The high hill had a good strategic value. The fortress began to be rebuilt in the mid 1600s. The Tábor Gate with a connecting angular rampart was completed in 1639. A major rebuilding project began a few years after the Thirty Years’ War ended, as the city wanted better defenses for the next conflict. Work began in 1653 to create a large five-sided brick fort. It was finished around 1727. 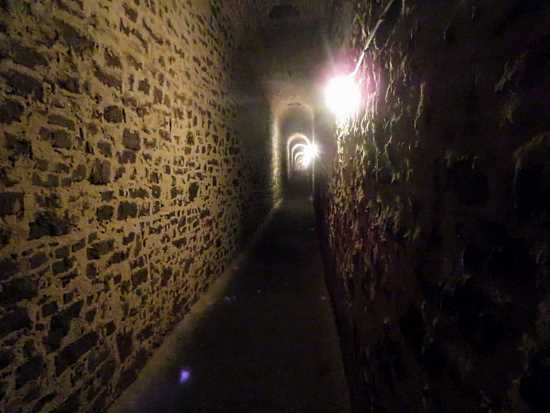 The new fortification included an elaborate network of underground tunnels called casemates for quick movement of soldiers and storage of material. 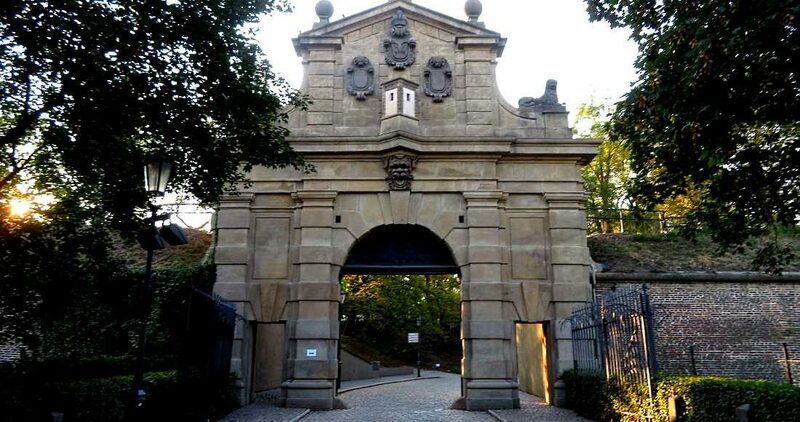 The Baroque Leopold Gate was built in 1669. A lot of the remaining historical structures were demolished at this time, but the Rotunda of St Martin, dating back to the 11th century, survived. The final reconstruction occurred around 1841 when the Empire-style Brick Gate was built and a place for a cannon was added. 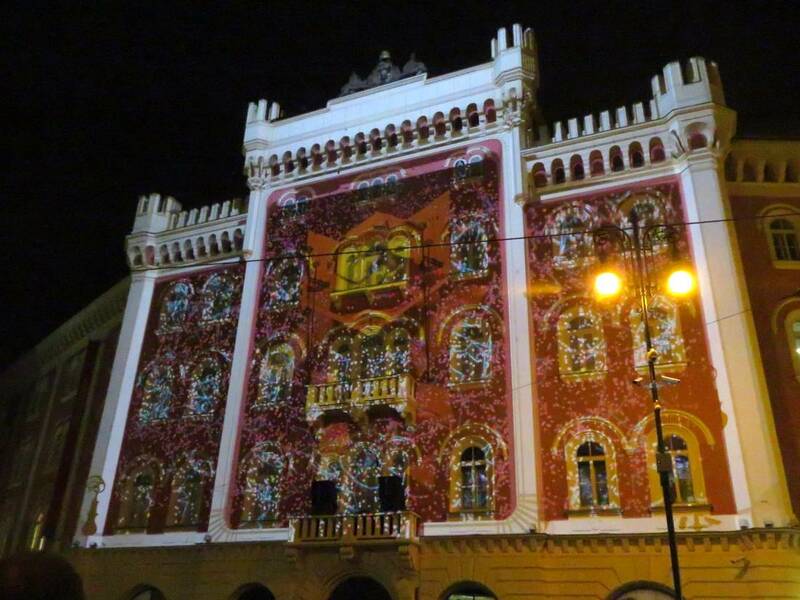 As Vyšehrad‘s military importance declined in the 19th century, its cultural significance grew. There was a Czech Awakening movement to promote the Czechs as a distinct culture within the Austro-Hungarian Empire. 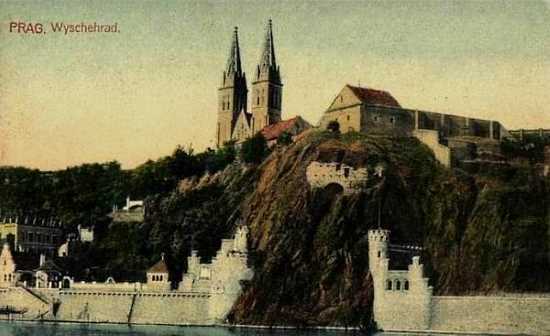 Vyšehrad with its links to the earliest pagan royalty like Princess Libuše, became a focal point for Czech historians. A monumental tomb called Slavín was completed in 1893 next to the Church of Sts Peter and Paul. 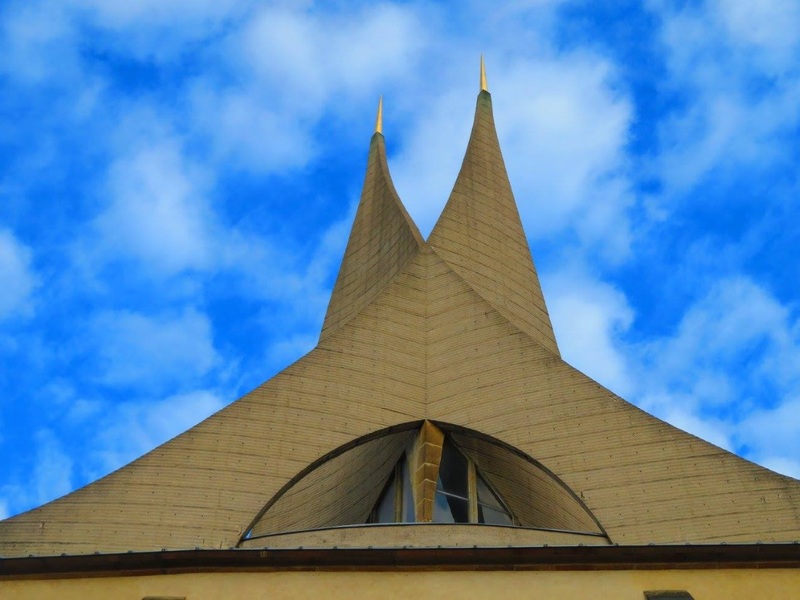 It is used by the most famous Czechs from arts, the science and other fields. The adjacent cemetery has other notable figures. 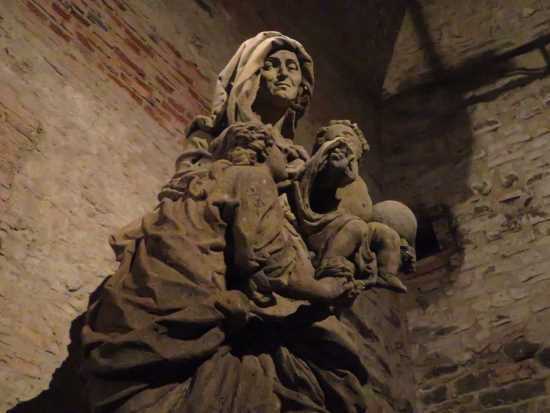 Statues of Princess Libuše by sculptor Josef Václav Myslbek and other mythical figures were moved there during World War II to protect them from damage. 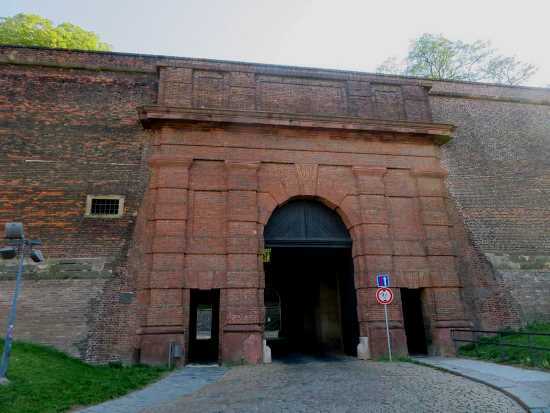 Part of the casemates are open to the public and down at the end is a large space called the Gorlice, which used to be an armory. It now holds several of the original statues from Charles Bridge. The area is home to numerous legends, aside from Princess Libuše and her treasure. There are tales of ghost dogs, a White Lady and other apparitions. Careless shepherdesses are supposed to have turned to stone. There is also the Devil’s Column, placed there in pieces the angry Zardan after he lost a bet with a local bishop. This is also where Horymír and his talking horse Šemík made their famous jump across the Vltava river to Zlíchov Rock on the other side.